St. Margaret’s Choir usually contributes to the morning service with a meditative choral introduction to the intercessory prayers. This is generally a Taize chant or other appropriate music built up over the years. Some of the music is from current and past Australian hymn books and also music from the 1991 WCC Conference held in Canberra. The Choir has been responsible for many glorious performances at St. Margaret’s over the past 50 years, particularly as a combined choir with Holy Cross Anglican, our partner congregation, when the available singers from both choirs complement each other very well. Original cantatas as well as others from the repertoire such as Resurrection Jazz and, looking further back, some of the well-known cantatas such as Olivet to Calvary and excerpts from Messiah etc. At present the joint choir meets regularly for practice and to record pieces for a planned CD. In June 2016 it organised a Good Faith concert in the church, with a number of support acts. The concert was very well attended and received and raised funds for the CD. More photographs from the concert can be seen on the photograph pages of this Website at 2016 Good Faith Concert. The choir also is often called into action for special occasions such as Easter, Christmas, Inductions, Baptisms, Weddings, Farewells and 50th Anniversary Celebrations. At the 50th Anniversary Celebrations for Holy Cross/St. Margaret’s the ladies sang an original composition of the Magnificat, it being during advent, and the men sang Mozart’s Gloria. In Christmas 2006 the Combined Choir sang for a special performance the opening Christmas section of Messiah with our own excellent soloists and the Hallelujah Chorus added in. 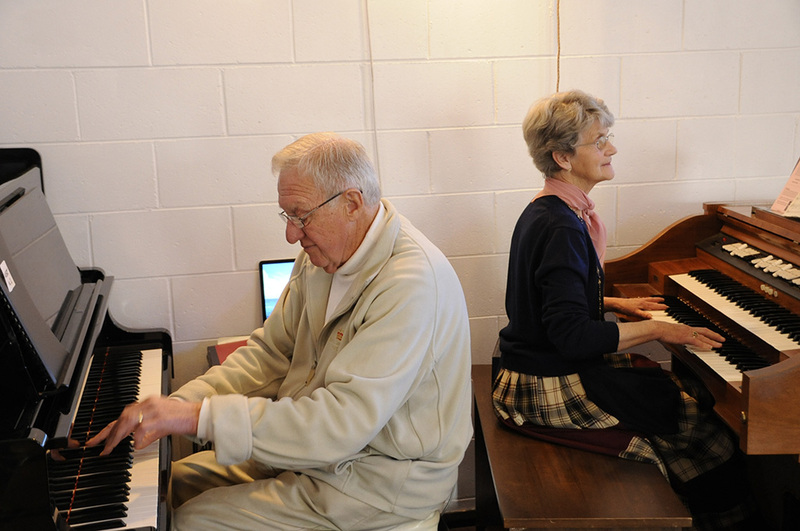 There is a wealth of musical talent and interest within the congregation perhaps only needing a push of energy from somewhere to enthuse the choir to spring into action to contribute to the life of St. Margaret’s when needed.